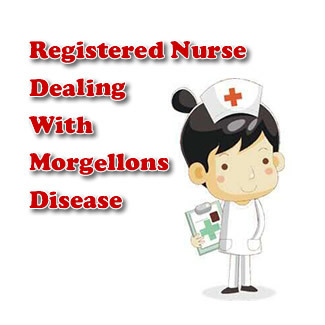 I am a Registered Nurse who suffers with this Morgellons skin ailment, which is ironically refuted by medical exports. This disease seems to have lesions which are chronic or reoccurring. This disease encompassed my entire posterior head/neck and upper back. Currently, my condition has been exacerbated, perhaps by thyroid dysfunction and or emotional turmoil. I also was infected with MRSA at the same time the first lesion occurred. That happened in 2008 and I have suffered ever since that time with outbreaks, encompassing the totality of skin dermatomes. I feel this disease is opportunistic and with flares and remissions. It is severely pruritic and appears as an ulcer with a scaly border. I have been held hostage by it. It is a valiant fighter. Currently I am trying Tea Tree Oil which has helped. Any suggestions, please Facebook me! So sorry to hear that you have also been fighting off this nasty Morgellons skin ailment for so long and not receiving the support from your medical colleagues that you ought to expect. tea tree) which may make matters easier in your case since most of your affliction is on the back and hard to reach areas. I can't stress enough how important it is to cleanse and boost your immune system internally as well. There is no quick fix, as you well know. You're going to have to approach this with long term management in mind and give your body an abundance of nutritional support on a daily basis for many months to come in order to not only eliminate whatever it is that is causing this unusual Morgellons skin ailment that seems to be spreading to more and more people. You're right about the condition being exacerbated by other health concerns as well as stress and emotional turmoil. Even when you may seemingly recover, another attack on the immune system can produce a flare up or recurrence. That's why I encourage a long term approach to immune support. Please have another look at the suggestions for a natural Morgellons treatment and consider giving it a real try. Note toward the bottom of the page the recommendation for Composure as based on your story, I think that would be of much benefit to you. I hope and pray that you are able to achieve healing and relief as quickly as possible. I feel I have the same . I have been using this for almost 2 weeks and seen dramatic improvements. Can you manage those four? Those are my top recommendations for a limited budget. I can get them for you at the wholesale prices here. I feel pretty confident that you will find them helpful, and they also have a money back guarantee. Everyone thinks I'm nuts. I miss my family horribly and am itching from head to toe. I'm running out of money and becoming severely depressed. I'm so alone. I'm fighting a parasite now for 1 year and 8 months, so believe me, I can truly sympathize with you. At one time, one of the many doctors I have been to thought it could be Morgellons, but that was ruled out. However, he told me that at one of the large Universities in Oklahoma, the Microbiology Department has been doing extensive studies on Morgellons and they actually have been the first to name it as a "disease." Since I didn't have Morgellons, I don't remember which University it was, but it would be worth a call to a couple of them........either The University of Oklahoma, or Oklahoma State University. You'll have to look them up online to find the contact information for them.